SKU: IND8BR. Listed in: Indian, Jewellery. Tags: Beaded, Choker, Indian. 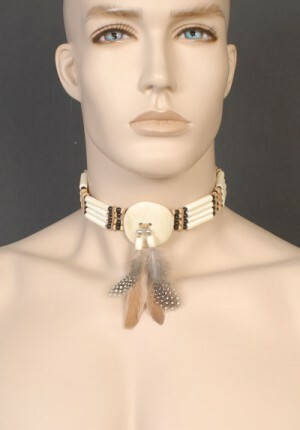 Brown sueded Indian choker. Decorated with blue and White beads on brown tassles. Ties around neck.